At a recent WLLG catch up we decided that we’d like to mix it up a little and try something different with the blog. So for this week we will be presenting five short posts looking at five elements of the local government sector and where we think we are right now. Today’s post is the first in the series and looks at the political context. We hope you enjoy this and the other pieces this week and look forward to hearing your responses to them. When we stumbled upon the idea of writing a week long themed version of the WLLG blog taking on board some of the broader issues impacting local government I signed up to write this post thinking it would be a rather simple localist treatise plotting the future for local government in a new environment. This was not the case. The more I think about it the more I am reminded of the innate complexity of the local government policy arena we all work in. Councils operate hundreds of services and each of them is governed to a greater or not quite a great extent by the Whitehall machinery. Thus, there is little that local government does that is not deeply impacted by central government. This post then, has a danger of being central government focused which is precisely what I had hoped to avoid. 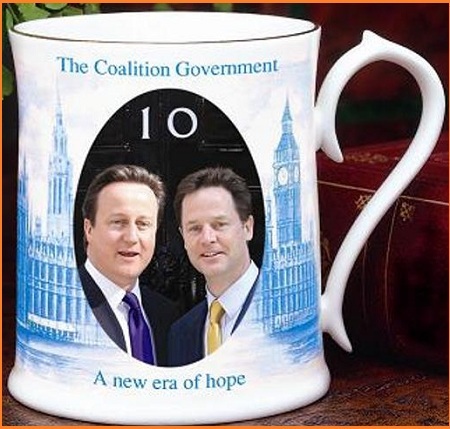 However, despite my misgivings we do need to start with the coalition. The recent Queens Speech was a bit of a waste of time and effort and seemed to many to show a Government that had run out of ideas. I suggest that the reason the Queens Speech was such a letdown was that the Government has already cast its dye in most key areas and is basically just in an implementation phase. The true impact of these changes will have a much greater effect on the perceived success, or failure, of the coalition than anything the Queen read out in 2012. In most key areas of Government activity the coalition wisely used the first few years of the term to get their reforms out of the way. Austerity and the accompanied dramatic cuts to public spending are definitely an ideological approach to our economic malaise but they provide a consistent, if controversial, base to the coalition’s economic plans. Whatever ‘Plan B’ ends up looking like it will be based on the austerity foundations. Whether this succeeds or ends up failing dramatically will probably define the success or otherwise of the coalition. Meanwhile these cuts are probably the single biggest risk facing local government now and in the next five or more years. The changes to the welfare system will have an even greater impact on the local government finances. This is not least because the government has cynically told local government to cut council tax benefit by 10% whilst protecting all sorts of people and then at the same time said that if local government wants to not make the cuts they can just cut other services. Of all the Government changes this is the one that annoys me the most as it is brazen, cynical and most of all cowardly. Other welfare changes will also impact local government and put more pressure on our services. Meanwhile the major changes the Government is making to Health and Education are already underway and each impacts local government. Free schools and academies no doubt undermine the influence of local authorities over local education but many councils are more vexed with the Government’s attitude over funding for new school building or renovation. Structures are important but what matters to teachers, parents, students and local politicians more is whether the schools that everyone is working in are in a fit state. Mr Gove and his colleagues should make sure this problem is fixed, and fixed soon. The changes to the health service have possibly wide ranging impacts on local government. Although the NHS has basically reconstituted PCTs in another form with the Commissioning Support Organisations for now, in the long term it seems more logical that local authorities might provide partnership to their Clinical Commissioning Groups. From a place perspective isn’t this more sensible than what is currently being offered in many areas? The Government seem keen to push local CCGs to operate tendering processes between local councils and the private sector thus ensuring that CCGs either go NHS or go private but I hope the Government will change their tune on that one. Meanwhile, the challenges of localism and the Big Society will continue to bring new players into the local service provision. This provides a unique challenge to local government, not least as this will probably mean that local government has to get better at change; services may change providers every few years, services may fail and commissioning will have to be imaginative to meet ever changing local needs. The risks of this are huge but there are opportunities to exploit as well. All of the above examples provide challenges for local politicians. No longer are they at the top of a command and control structure where their every word is implemented by somewhat star struck council officers. Instead, increasingly their direct influence is declining, to be replaced by an influence based on their ability to negotiate on behalf of their communities. I would argue that this makes councillors infinitely more important as without this democratic accountability or local consent we are left with services that have no connection to the communities they serve. However, it is a real challenge and will involve councillors upping their collective game. Whether we have provided them with enough support to play this new role I am uncertain but seeing the development of it will be fascinating over the next 5-10 years. Whilst most of the Government’s legacy is already put in train there is one area where we don’t yet know the impact or indeed whether the Government is going to have the courage to put in place a long term sustainable solution; funding of Adult Social Care. As the Barnet graph of doom shows, if this issue is not addressed soon the entire council budget could be taken by funding adult and childrens social care within a decade. An unfathomable amount of people support something equivalent to the Dilnot report and the fact that the Government have yet to put forward a Bill to implement the recommendations is a peculiar example of either Government feebleness or civil service intransigence or both. As you can see, a post that was meant to be a localist treatise ended up being a quick trot through the impact of the coalition government on local government. This is, of course, not totally fair. Local government is still the most innovative and fast moving part of the Government structure in the UK. Thus, whilst austerity is the unifying feature for all local government and the changes being made by the Government represent the context in which local government is operating right now, the changes being made around the country differ depending on the council concerned. I’m going to be honest; I don’t know what’s happening in over 350 councils around the country. I could probably not do much more than ten. However, every time I visit a council or speak to more enthusiastic and forward thinking members of staff there is always something interesting and innovative happening. Local government’s ability to continually flex to the changing contexts we face is central to the Government being able to introduce its radical and wide ranging policy prospectus. Our role is also crucial to ensuring that services provided locally that so many people rely on are provided in the best way possible. Local government will rise and meet this challenge and it would be nice if the coalition recognised this once in a while rather than always being on the attack. This entry was posted on June 18, 2012 at 5:30 am and is filed under We love the Council. You can subscribe via RSS 2.0 feed to this post's comments.